The structure of XPD was solved using data collected at the SIBYLS beamline and published in Cell this past summer. Recently this outstanding work was featured in the ALS Science Highlights. "XPD helicase is an enzyme that unwinds the DNA double helix; it is one component of an essential repair mechanism that maintains the integrity of DNA. XPD is unique, however, in that pinpoint mutations of this single protein are responsible for three different human diseases: in xeroderma pigmentosum (XP), extreme sensitivity to sunlight promotes cancer; Cockayne syndrome (CS) involves stunted growth and premature aging; trichothiodystrophy (TTD), characterized by brittle hair and scaly skin, is another form of greatly accelerated aging. At the ALS, researchers from Berkeley Lab and The Scripps Research Institute recently solved the structure of XPD. The structure gives novel insight into the processes of aging and cancer by revealing how discrete flaws--as seemingly insignificant as a change in either of two adjacent amino acid residues--can lead to diseases with completely different physical manifestations." In a recent article in the Journal of Molecular Biology a paper has been published exploring the ability of prokaryotic thermophiles to supply stable human protein homologs for structural biology. The authors have made use of an unusual deep-sea hydrothermal-vent worm called Alvinella pompejana. This worm has been found in temperatures averaging as high as 68 degrees C. The paper explores the structure, stability, and mechanism of Cu,Zn superoxide dismutase (SOD), an enzyme whose mutation is implicated in causing the neurodegenerative disease familial amyotrophic lateral sclerosis or Lou Gehrig's disease. 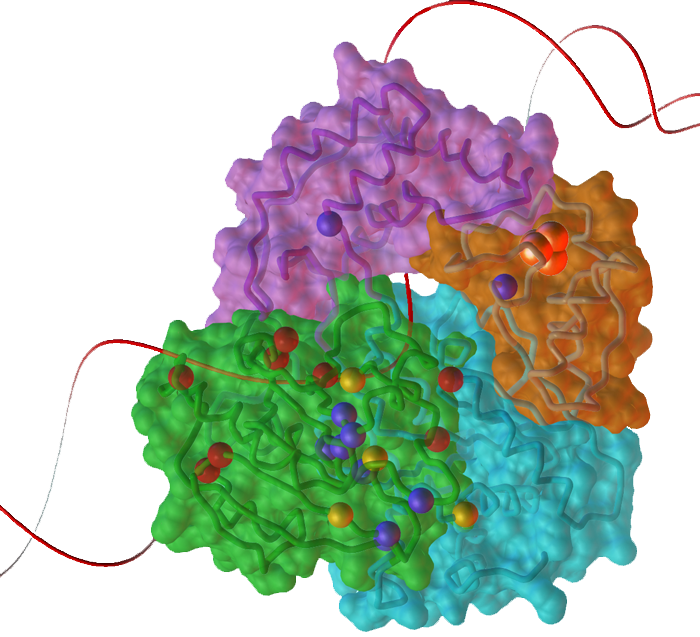 The SAXS endstation of the SIBYLS beamline played a key role in providing confirmation of the dimeric state of the Alvinella pompejana SOD and its structural similarity to the Human SOD. The structure of Sulfolobus acidocaldarius XPD has recently been solved and the biochemical activites of various disease causing mutations measured. Results are reported in the May 30th issue of Cell. LBNL has also done a nice write up.